The second blog will focus on the general anatomy, possible problems, and a case study of the knee joint, based on an educational perspective for people who have general interest or students studying physiotherapy. The knee joint that is also known as the Tibiofemoral joint. Above the knee, there is the femur and below is the tibia. Lateral to the tibia is the fibula, which supports the tibia. The patella (commonly known as the kneecap) is connected to the tibia by the patellar ligament. Beneath the patella is the Infrapatellar fat pad. At the end of each bone (Femur and Tibia), there is a rubbery surface that acts as a shock absorber and allows movement this material is called the Articular Cartilage. The meniscus is known as the cartilage of the knee, help spread the weight of the body. There small “ropes” around the knee that are called ligaments. The ACL (Anterior cruciate ligament) and the PCL (Posterior cruciate ligament) are within the joint. The ACL stops forward motion of the tibia, and the PCL stops backward movement of the tibia. 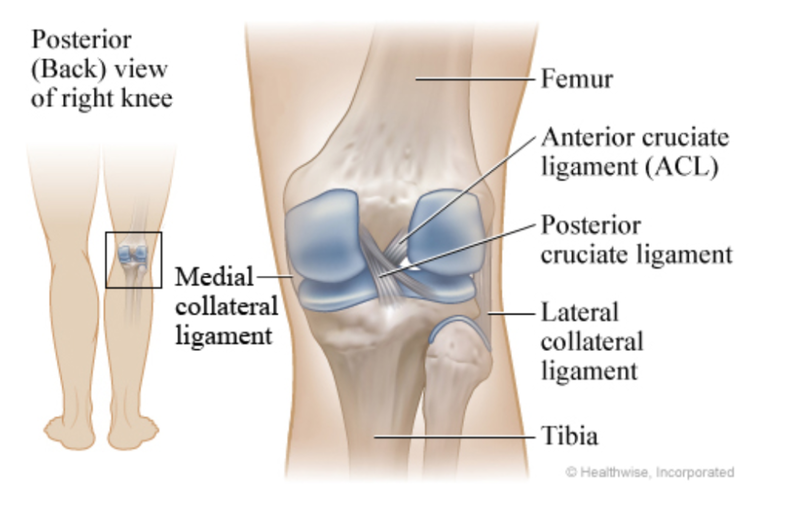 The MCL (Medial collateral ligament) (inner side of the knee) connects the femur to the Tibia, which resists valgus force. The LCL (Lateral collateral ligament) (outer side of the knee) resists varus force. Healthy, functional muscles are essential for everyday activities. At the front of the leg, there are the muscles that allow you to straighten your knee. The muscles behind your thigh are called the Hamstring muscles. If you place your hand on the side of your thigh, you can find the Iliotibial band. 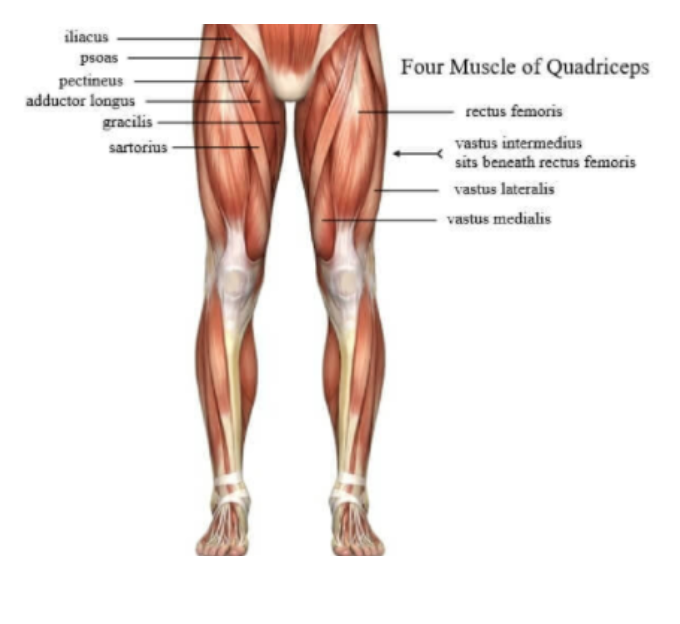 The muscles located on the inner thigh are known as the adductors. The Tricep Surea is the medical term for calve muscles. These muscles will be discussed in a future blog. The most essential nerves around the knees are the tibial nerve and the common peroneal nerve, which supply sensation and muscle control. The majority know of the Sciatica nerve, the Sciatica nerve splits (at the back, above the knee) into the tibial nerve and the common peroneal nerve. Keeping it simple and to the point, the popliteal artery (has come from the femoral artery) and the popliteal vein are the most significant blood supply to the leg and foot. During the surgery: the lateral meniscus was “cleaned up and smoothed out”, and medial was not touched during the operation. The patient presented with pain medially and posterior to the knee, some pain located at the pes ansinerus site, pinch felt and locking sensation when extending the leg. On palpation, the popliteus is tense and hamstrings tense and short. For clinical reasoning we want to know why the popliteus is locking. Looking back at the anatomy of the knee can you understand why? The insertion of two of the hamstring muscles in detail, they insert to the proximal tibia, pes anserinus (Semitendinosus) and posterior medial condyle of the tibia (Semimembranosus), from extensive research they also slightly insert to the medial part of the meniscus/cartilage. Bearing this in mind, the hamstrings are short and tense, the cartilage on one side of the meniscus was cleaned, and the opposite was not touched. The hamstrings may be pulling the cartilage, which may be leading to a pinch. Which hamstring muscle inserts to the lateral condyle of the Tibia and the head of the Fibula? Which hamstring is most medial in terms of location?